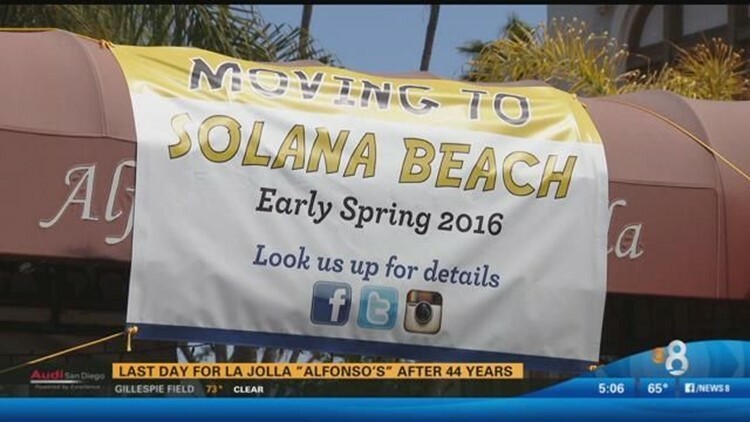 La Jolla is saying goodbye to an almost 40-year fixture. Sunday was the last day for Alfonso's Restaurant at its Prospect Street address. The famous eatery that opened in 1977 is moving locations to Solana Beach. The owners say the menu, margaritas and the Alfonso's name will remain the same at the new restaurant on Highway 101 in Solana Beach which is scheduled to re-open next month.